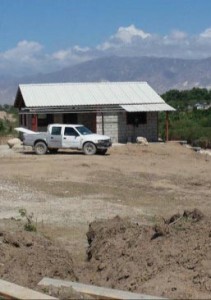 Since our last update, teams and individuals have traveled to Haiti to prepare our new property for occupancy. It has been exciting to see the progress made! The highlights and accomplishments completed by teams that have served in Haiti these past months have been so encouraging. The Island Free Methodist Church (Illinois) came in October 2015 and completed much of the caretaker’s home. 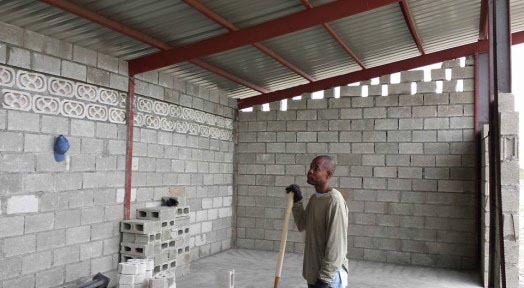 The Wabash team came in January 2016 and was able to construct the roof on the caretaker’s home and complete the floor and roof of the generator building. The latest team to serve was from Spring Arbor Free Methodist Church (Michigan) with a couple of other individuals. They were able to lay block for the walls of the building which will house the generators. A trench was dug for the outside wall on the backside of the property. The wall was started as columns were set and rocks were cemented up to ground level in one area. The floor was poured and metal frame was set for a multi-purpose open pavilion. 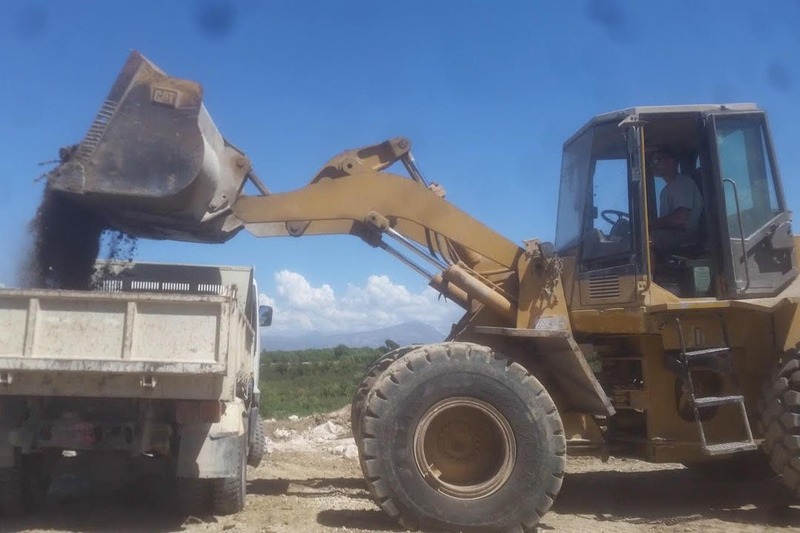 The team was excited to find an excavating rental company less than half a mile from the property and were able to rent excavating equipment to clear and level land for buildings and walls. At present, we are trying to get a couple bids for hiring a Haitian company to work on finishing walls. We have been able to build positive relationships with businesses and people around us. We have been able to help the local economy by hiring many Haitians from around the area and other areas in Port au Prince to help with construction. As you well know, those relationships are very important to the success of this endeavor. One group was able to put on a Vacation Bible School and individual relationships have been built through all of this. After seeing the property one year ago as a bare piece of land, and now seeing walls and buildings, the vision for FOHO’s property is obvious and everyone should be very excited about what FOHO can do in Haiti in the future. Our annual meeting is June 17-18, 2016 at Spring Arbor Free Methodist Church, 120 Main Street, Spring Arbor, MI 49283. Further details will follow but reserve that date on your calendar now! We have much to plan and much to celebrate! Hope to see you there! Copyright © 2019 Friends of Haiti Missions. All rights reserved.